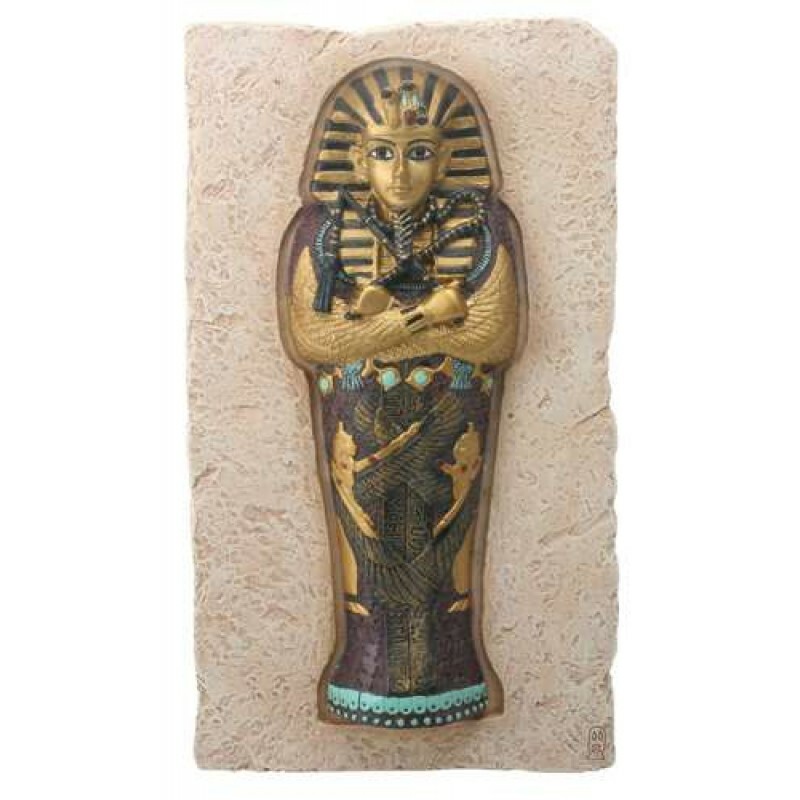 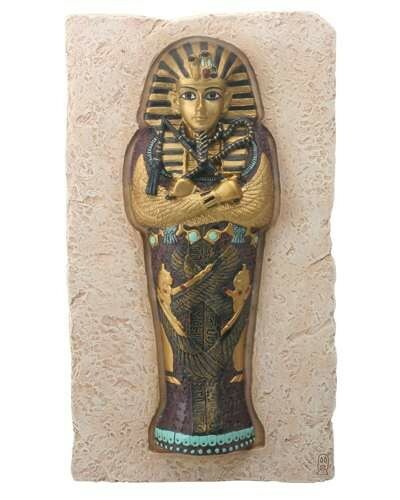 This dimensional Egyptian plaque depicts King Tuts outer sarcophagus coffin. 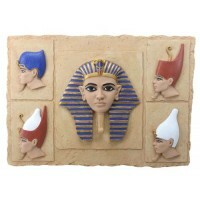 Finely detailed plaque measures 8 x 4.5 x 1.25 inches. 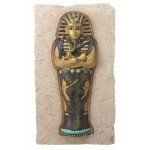 Item Number: YT-8270 | Approximate Size (Inches): 4.50 wide x 1.25 deep x 8.00 high | Approximate Shipping Weight: 2.00 lbs.